Just over forty-eight hours ago male idol group B.A.P released their second studio album NOIR, as well as the music video for the title-track Skydive. 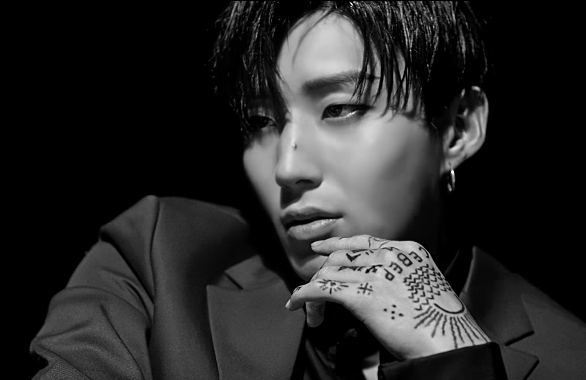 All six members play a prominent role in the music video, and leader Bang Yong Guk contributed heavily to the production of the album; though he will sit out promotions as he aims to improve his mental health, having been diagnosed with a panic disorder. The mv for Skydive is a feature long ten-minute offering, packed with narrative and impressive visuals. 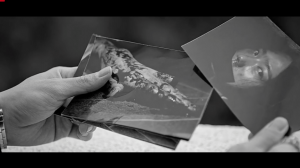 The music video’s narrative is relatively simple to follow, with all the smaller, missing details being answered at the end as the twist is revealed. The concept relies heavily on styles and themes B.A.P have been upholding since their debut. The group has, possibly, the strongest gang concept amongst the run of male idol groups that have used the theme. Mvs for One Shot and Badman show off this strength well; One Shot, in particular, has seen plenty of ‘ode to’ recreation shots appear in music videos by groups such as EXO. The gang concept comes with a dark visual as standard, though BAP has established a second strong mv colouring for tracks that don’t conform to their darker image, and can be seeing in videos such as Coffee Shop, and the UK shot mv Where are You? What Are You Doing?. The two colourings are of stark contrast, but the six-piece group was able to switch to the latter yellowed hues after affirming their gang image with great strength. Both of these visuals are featured in Skydive to great effect – as they were in One Shot. This mv takes on many narrative prompts featured in One Shot – using one member in a role that opposes the gang and having one member involved in an unexpected ending. Himchan can be seen sporting very distinct tattoos. In fact, Himchan sports a Vory tattoo on his left hand. The term Vory refers to Russian organised crime (the Russian mob calls itself Vory v Zakone – ‘Thieves inside the law’). The Vory subculture exists in most as a prison inmate subculture, where the Vory are the respected leaders. The tattoos they sport are known for being well-made, despite being inked in prison with primitive tools. CEBEP means ‘north’ and is one of the most popular Russian prison tattoos. It indicates that one has ‘done time’ in a Northern Russian Gulag (corrective labor camp) such as Krasnoyarsk Gulag in Siberia, or Kolyma Gulag in Magadan. The design on Himchan’s hand is lifted straight from a photograph used mostly by the various Блатной social media platforms. Blatnoy/Blatnoj is a word pertaining to the criminal underworld of thieves. Usually, the symbol of the sun would utilise the rays to indicate the number and length of prison sentences served; though given the amount on Himchan’s hand (and his age) it is likely this aspect of the tattoo was simply copied for effect. The notion of cutting off a finger (or other body parts) of a captive as proof or ransom is one that is used often in the media. Though it doesn’t just exist in fiction French industrialist Baron Édouard-Jean Empain was kidnapped by known criminals in 1978 for over two months. The kidnappers cut off his finger as proof they held him. In 2012 Canadian Luka Magnotta (born Eric Newman) mailed the body parts of Chinese international student Lin Jun to political offices and schools. Skydive is an impressive mv, and one of the strongest displays of the gang concept of late. With far more researched visuals, and a narrative that doesn’t just centre around a female, it is well worth a watch. It may be about time Kpop moved on from the gang concept, but it is the successful image of groups such as B.A.P that keep it alive.